Inspired by material and place, and informed by nature, I focus on the object itself and its inherent materiality by evoking organic morphologies. Projecting a calm acceptance of impermanence, instability and transience, each work is a response to our relationship with the natural environment. My work occupies liminal zones where material, place, space and memory come together. Stephen Newton has an extensive national exhibition profile and has received numerous awards and grants. 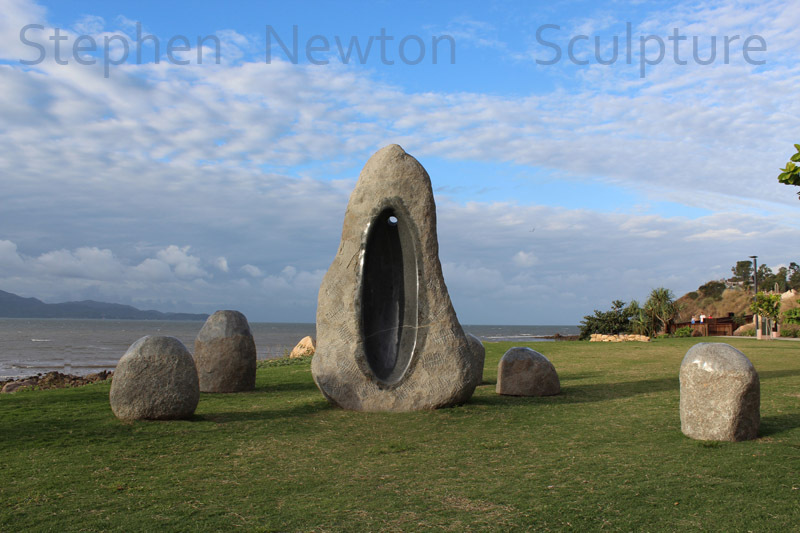 His sculpture is held in public and private collections nationally and internationally. He has received large scale public realm commissions in Victoria, Queensland, New South Wales and Australian Capital Territory. He is currently a PhD candidate with the School of Arts Sculpture Workshop at Australian National University, Canberra.